In this folder, you can create a new source file or a folder containing additional sources. 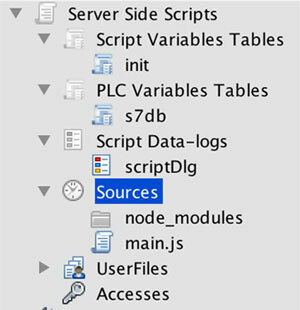 mySCADA follows the standard file layout for node.js projects. When writing your project, you should organize your project into independent modules.